we know that yoga originated from india thousands of years ago, and now it is one of the most popular forms of exercise, not only in the US, but in the whole western hemisphere. but what we consider yoga nowadays, is only a style of hatha yoga, one of the limbs of the 8 fold yoga system of Patanjali. do we really care that we only teach and practice asana and perhaps pranayama during our practices? does it matter that most students have no idea who Patanjali was and what the yoga sutras mean? most of us come to yoga to get stronger, more flexible and less injury prone. what is in the Bhagavad Gita does not concern most western students and chanting sounds weird to them. yet, they are still yoga practitioners. some forms of hatha yoga, like jivamukti, does weave philosophy and chanting into the practice, and ashtanga practitioners are familiar with the sanskrit name of poses and counting. but the majority of yoga teachers do not feel that their students are better served by them knowing and sharing their feelings on the yamas and niyamas. bringing yoga into the students’ every day life from the mat is not something they strive for. the primary focus is to give them a good work out, perhaps infusing the instructions with an uplifting and motivating message. as yoga teachers, we are taught “to teach to the majority”. so if the majority of our students are not interested in anything else but the physical and perhaps mental effects of yoga, like being less reactive and becoming calmer, then it seems we should focus on that and not waste our time studying the sutras. this ancient script has no relevance to how we live our lives today. on the other hand, how would our students even find out that there is more to yoga than just a set of poses we practice if we don’t bring it up during, before or after practice? but then again, would they be interested in yoga off the mat? one of the most popular and widely practiced yoga style today is a strict set of poses practiced in a heated room in front of mirrors. the most advanced practitioners go on to compete in championships, and the teachers are discouraged to add anything personal to the script they learned during teacher trainings. their loyal followers appreciate what this system has given them; their lives have improved no doubt, they would not be going back time and time again otherwise. as no shoe fits all, there is no yoga style that is for all. we are all different, and we look for and appreciate the different benefits yoga has to offer. how deep we get into it, it’s up to us. what we share with our students depends on our comfort level, knowledge and ability. but we need to be true to ourselves, what we believe in, and what our authentic voice says. we all have a teacher within, we just need to be strong enough to trust. While I’m a long ways from being a yoga master, for me the path towards mastery has come from allowing myself time, practicing acceptance and developing awareness. I began practicing yoga 15 years ago with the intention that I would still be practicing 50 years later. In adopting a long view, I gave myself the freedom to take 5 or 10 years to learn a particular skill. It gave me time to not progress outwardly and to more easily accept the state of my practice without feeling stuck. This allows me the liberty to take my time to explore the deeper dimensions of my practice. I have time to become aware of the nuances of each pose and my attitude in approaching them. I have time to enjoy the practice itself. Someone recommended a book to me: Mastery: The Keys to Success and Long-Term Fulfillment by George Leonard). The book was written based on the author’s experience in the context of Aikido, but is really applicable to any discipline. So, give yourself time to become a master and to enjoy the process rather than the achievements. Allow yourself to sometimes grow in the outward aspects of your practice (e.g., new poses, new techniques) and sometimes to grow in the inward aspects of your practice (e.g., attitude, awareness,the small details). Bring awareness to your practice so that your understanding can deepen while on the plateaus and bring acceptance to your practice so that your expectations don’t stand in the way of your enjoyment. for many of us, february has no special meaning, except celebrating an occassional holiday like valentine’s day, a birthday or an anniversary, let’s not forget groundhog day (did you just love that movie?). the days are still short and spring is not right around the corner. we make new year’s resolutions at the beginning of the year formally or informally, but the items and goals on the list can be overwhelming; we don’t know where to start, how to get there or just fall-of-the-wagon and don’t get back. just as we should break down a lofty goal into achievable steps, we can make ONE change in our lives every month to bring us closer to our vision on how to live life to its fullest. so what are your dreams for 2009? do you need to let go of something or someone that takes up negative space in your life in order to create space for supportive friends and activities that help you become better? will starting something new, like creating a blog or finding your way back to your mat, be the way for you to connect with others and make a difference in your life and for those who are around you? stepping out of our comfort zone is not easy, but as we have all heard it before – “the journey of a 1000 miles begins with a single step.” can you start doing something different in your life that you know will benefit you but too scared/bored to do before? make small changes at first. try a new recipe or a different starbucks. perhaps put your mat down to a different spot at the studio or do a different variation of a yoga pose you feel too comfortable with. starting something new is almost always put butterflies into our bellies, but the thrills of the unknown and the growth we experience is worth it. 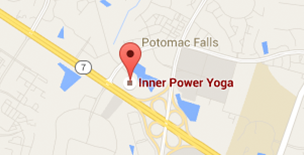 Welcome to the brand new Inner Power Yoga blog! Ursula and I expect to post at least once a week, so come back often to see what we’re talking about. We’ll post general musings as well as information about schedule changes, local happenings, and more detailed yoga information. Let us know what you think, and feel free to ask if there’s something specific you’d like us to post about.